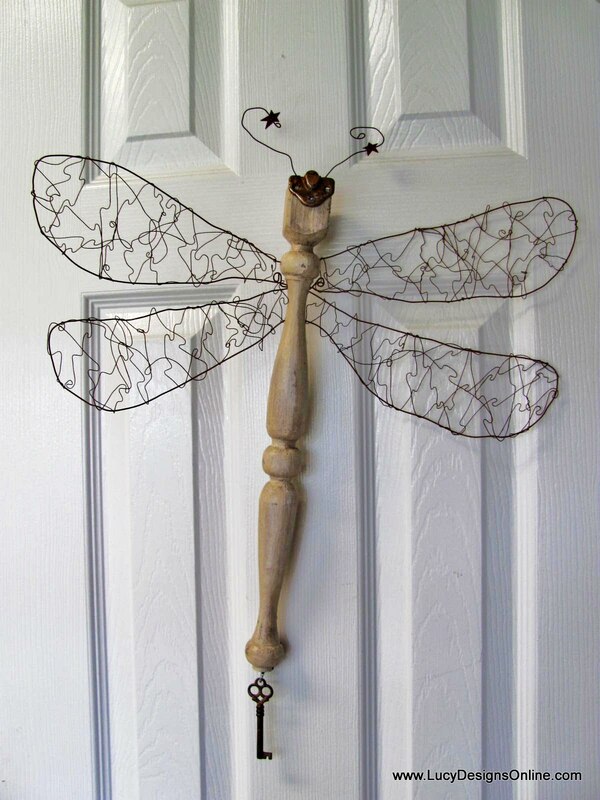 so I wrapped it around metal frame wings on a dragonfly. I love the way it turned out and it sold right away...yay! I used old zipper pulls for the eyes and a put a rusty key on the body too. An aged brick tie for the antenna and an odd little metal piece for the eyes. because I covered the body with stripes made from metal brick ties.